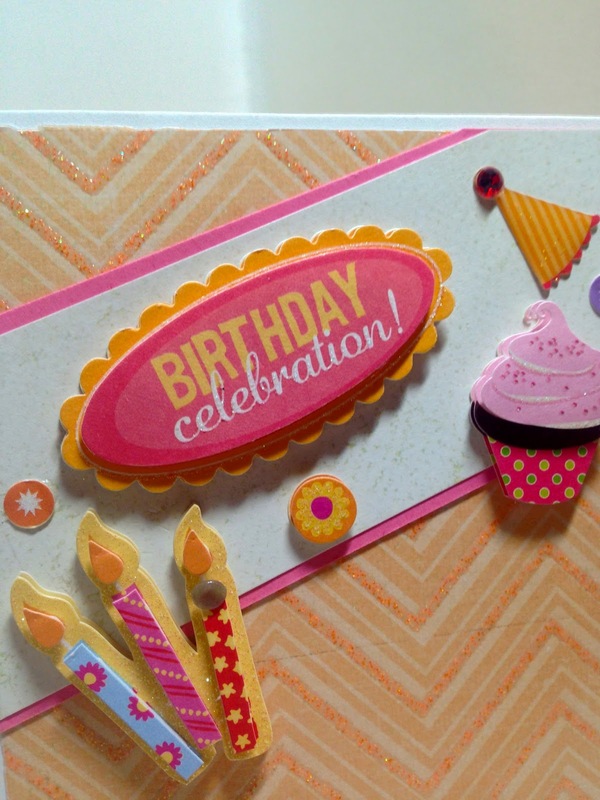 Amy's Creative Pursuits: Birthday Celebrations! Hello! 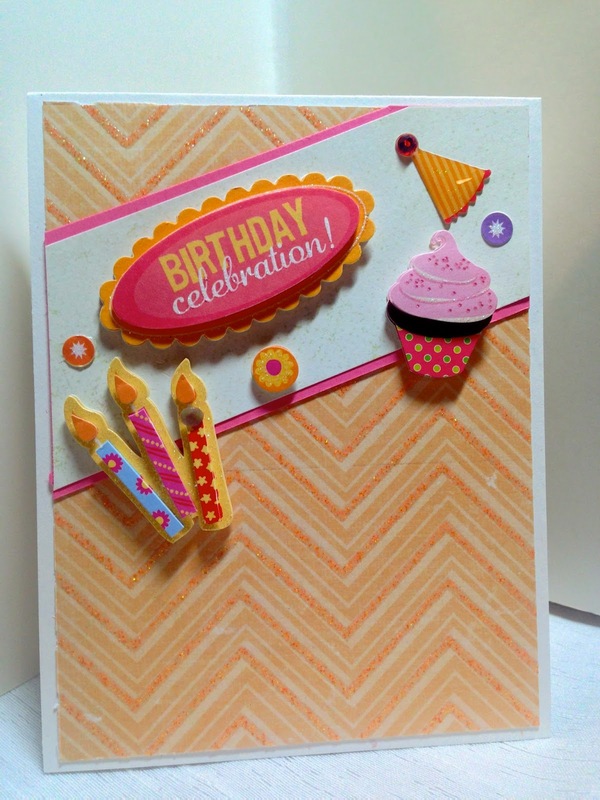 I have a cheerful birthday card to show you today with no stamping or coloring involved! I used a sketch from Waltzingmouse to make my card. The paper has a raised glitter texture and is from DCWV 'Sweet Tangerine'. The sentiment and images are all 3D stickers from K & Co!. All I had to do after I cut all my panels, was peel and stick to finish my card. What a fun card, Amy! Love that glittery paper! Great job, dear friend!!! Oh superb ! colors, design, a wonderful party card !